The Master of any Lodge is the ‘Chairman’, if you will, who controls and conducts the business of the Lodge. 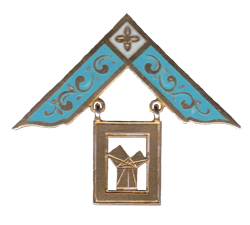 The Master is the figure head of the Lodge, he is in charge of and directs the work of the Lodge. He must lead by example, being a role-model for the members of the Lodge, promoting and preserving harmony in the Lodge. Whilst maintaining order and the traditions of Freemasonry, he will appreciate, demonstrate and communicate the modern trend towards openness within Freemasonry. Having served as Master, one of the most important jobs left before he leaves the Chair is for the outgoing Master to install his successor. Watched by others who have served as Master of a Lodge, the new Master for the ensuing year is put in place with reverence and not a little pomp. The Installing Master, having spent 12 months leading the work in the Lodge, now spends a year as a mentor and assistant to the new Master in the role of Immediate Past Master. Strictly speaking, he is no longer an Officer of the Lodge, holding his title as a matter of right – he, quite simply, IS the Immediate Past Master. With now only a small part in the ritual, the IPM’s main duty is to assist the Master whilst he carries out the work in the Lodge. In the event that the Master cannot attend a meeting, the Immediate Past Master takes over the reins again, temporarily, to ensure that the work of the Lodge is not disrupted and continues smoothly.